A wedding ceremony at Serra Plaza in San Juan Capistrano is always beautiful. 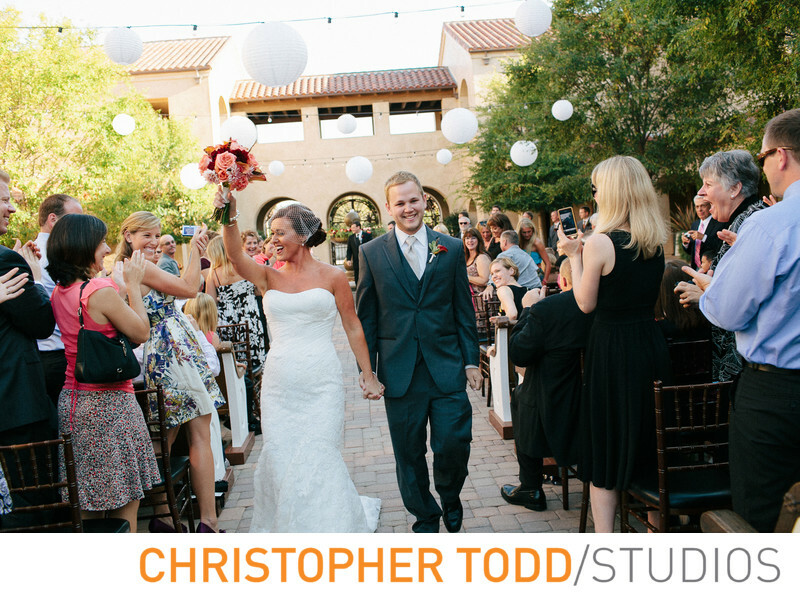 Celebrate your vows in the spanish courtyard. Here the bride and groom just sealed their vows with a kiss and are walking hand in hand down the aisle as the wedding guests are clapping and cheering for them. The groom wore a custom tuxedo and the bride had on a lovely strapless gown with a train. She is seen here holding up her flower bouquet as she exits the ceremony. This is the time when I take the bride and groom on a romantic photo shoot of just the two of them. 1/200; f/4.0; ISO 200; 35.0 mm.